A clean, fresh facility makes a great first impression on your customers and an easy working environment for your employees. But a dirty, disorganized, and smelly office is more than just unprofessional; it’s unhealthy. Carpets, break rooms, bathrooms, computers and office surfaces can harbor harmful dust, allergens, and viruses. And no matter what business you're in, dusty odors and dingy floors are anything but appealing. 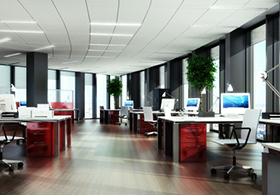 Clean Right Southeast, we provide dependable, high-quality commercial office cleaning services. 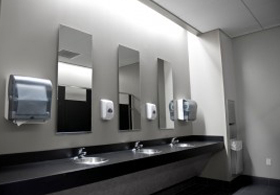 Our goal is to provide you with a clean, healthy environment for your employees and customers. The cleaning professionals at Clean Right Southeast are carefully trained to provide a meticulous clean at each and every visit. And because your satisfaction is our highest priority, we’re committed to providing nothing less than the very best customer service. Vinyl flooring is cost effective, attractive, remarkably sturdy and wear resistant, and with proper care it will retain its original beauty for years. But the key is proper care. All vinyl flooring requires regular cleaning and maintenance to ensure its durability, appearance and safety. Because of the high volume and type of traffic on commercial flooring, it is important to set up a maintenance program designed specifically for each location. 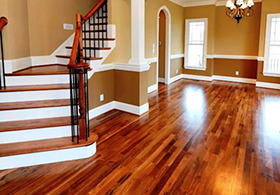 Clean Right Southeast professionals understand the maintenance requirements of various types of flooring and installations and are trained to provide a high level of service. Prior to undertaking any project, we will carefully inspect your flooring, study traffic patterns and devise a plan to do the job right. Our crews are carefully screened before we hire them and trained before they start work. 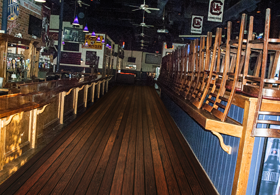 We work nights and weekends and will develop a maintenance program to keep your commercial flooring looking its best. 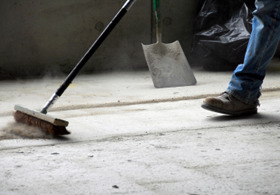 When it comes to your construction cleanup projects, you can count on Clean Right Southeast for service that shines. At Clean Right Southeast, we approach your construction cleaning projects like we do every other cleaning project: with the customer always in mind. From construction debris removal to fine detailing, Clean Right Southeast always keeps your property and your image looking spotless. Clean Right Southeast offers this value-added service with the flexibility to work around your schedule. We work with you and your general contractor without ever inconveniencing tenants, customers or visitors. Do not trust your carpet cleaning to an inferior cleaning company when Clean Right Southeast can provide experienced carpet cleaners who will do a superior job. Even if your carpets are heavily soiled, high trafficked, or pet odder they're no match for the talent and skills of our professional carpet cleaners. We have the knowledge and workmanship it takes to provide a deep and lasting clean to your carpets without damage. We guarantee that you'll be more than happy with our results, and we'll address any issues promptly. As a worldwide organization that touches all corners of the globe, we are committed to providing all of our clients with safe and environmentally responsible cleaning solutions to help reduce contaminants harming our earth. We use environmentally preferable green cleaning products, microfiber systems, floor matting and HEPA/ULPA vacuums, and specialized chemical dispensing systems. When the last table is bussed and the kitchen closes, Clean Right Southeast restaurant cleaning services goes to work. Our staff is ready to provide the best in restaurant cleaning solutions to make sure your satisfaction is met. You have high standards and serve only the highest quality food, so it’s important those same standards carry over to the cleanliness of your restaurant. Having a clean restaurant not only allows your customers to be happy, but also your entire restaurant staff to be happy. With restaurant cleaning services by Clean Rights Southeast, your work environment and dining area will be ready for action every day and in pristine condition for the next service time. When you want restaurant cleaning services that make dining experiences memorable and your staff motivated, Clean Right Southeast is your best choice. We are here to give you the results you need and deserve. 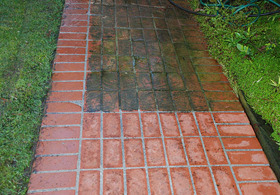 why pressure washing is not enough but can sometimes be too much. Some companies offer to pressure wash your outdoor surfaces and that’s all. And maybe you think that’s enough. But let Clean Right Southeast show you why it’s not enough. Before pressure washing, Clean Right Southeast uses a proprietary foaming cleaner that clings to surfaces and lifts out the dirt, mold and mildew that has set in over time. Then, when we follow up with our controlled pressure washing, we don’t need to power it at full blast. When is pressure washing too much? When it’s uncontrolled, full blast. Pressure cleaning that’s too strong can damage your outdoor surfaces, along with nearby flower beds! Don’t let someone gouge your wood deck, concrete, siding, or precious rose beds. Call Clean Right Southeast to have the job done right the first time. Our painting contractors provide high-quality sandblasting, painting, dry wall and water damage repairs. We provide residential, commercial and industrial services. 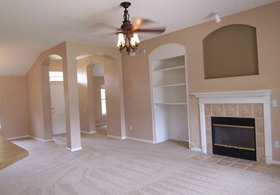 Clean Right Southeast painting contractors are highly trained and capable of handling all sizes of painting jobs. Say Goodbye To Pests. We here at Clean Right Southeast, LLC have made every effort to serve our customers efficiently and promptly and believe safety is our number one priority. Our concern for the customer's environment, their family and the world around us is our number one goal. This means materials are applied only when necessary, and the products chosen are designed for the control of the problem insects only, not non-target animals. Materials we use are of the lowest odor available, and the products are chosen because of their long-lasting ability and proven track record. Fleas. Ticks. Silverfish. Cockroaches. Bees. Ants. Mice. Rats. Household pests can be much more than a nuisance-they can become a threat to your property and potentially your health. In fact, one household mouse can contaminate ten times more food than it eats. That's why pest and bug control is so important around your home. Take the Advantage over Bugs. 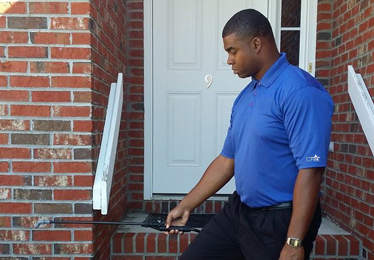 Pest control from Clean Right Southeast, LLC can help you with not only the treatment of pests - but also help prevent.